A deck adds valuable living space to a house and is high on the list of additions and upgrades for many homeowners. Decks can be very costly and reputable contractors can be hard to find. Choose a modest, low platform that gives kids a great place to play and hang out or build a fabulous, multi-level deck with rails and built in seating for the perfect summer entertaining venue. Many deck plans come with material lists, how-to videos, tips and full instructions for customizing the design to fit your family's needs. Build a deck with a pergola, stairs, railings or seating to give your yard a decorator look. Specialty plans for curved and detached decks make a big impact when you are looking for something truly memorable. 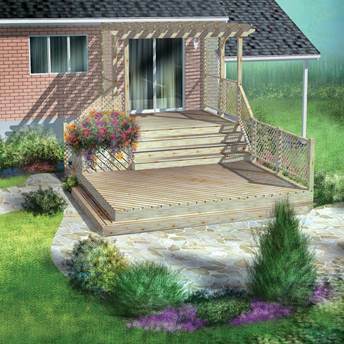 Save money and design exactly what you want by choosing from over 20 free deck plans. 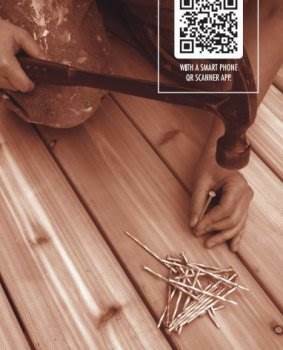 Enjoy building a deck that not only looks good but doesn't harm the environment by following these instructions. Easy to follow plan that includes a handrail and corner steps. 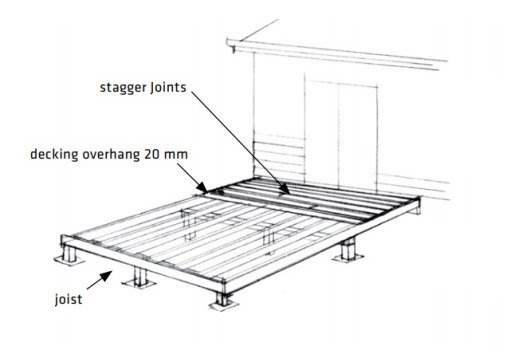 Complete instructions can be found here to help you build a timber slatted deck for your home. Easy step by step instructions for a 2 level deck that will add to your home's outdoor appeal. Enjoy your deck even on windy days by building these simple wind screens. Here are plans for building a rather small and simple deck for your yard. Building a deck takes time but with this plan you can break it down into segments and the end result is a beautiful wooden deck the whole family will love.